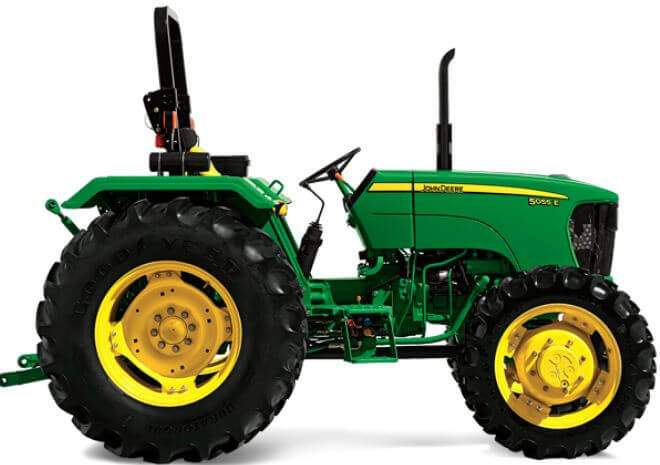 Are you planning to buy the latest tractor 55HP of John Deere? 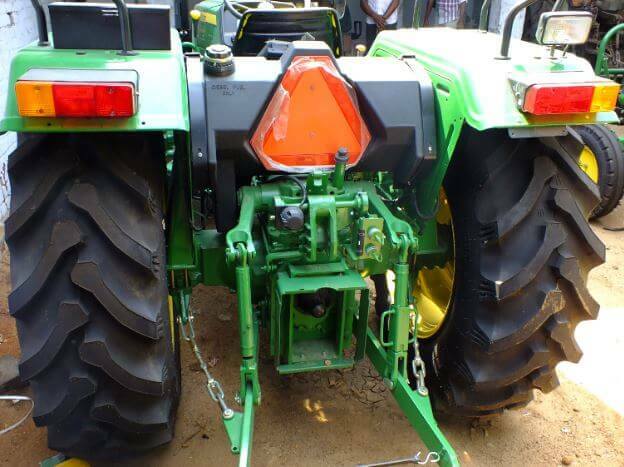 If you are interested in John Deere tractor. 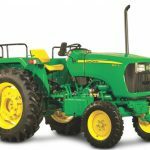 Then you are in the perfect place where you will get genuine information about the latest model of John Deere 5055 E 55HP. Find out here its overview, technical specifications, price, key features, transmission, hydraulic systems, brakes, wheels and tires, dimensions and weight, optional accessories etc. briefly given as below. John Deere 5055 E 55hp is available in 1 variant. 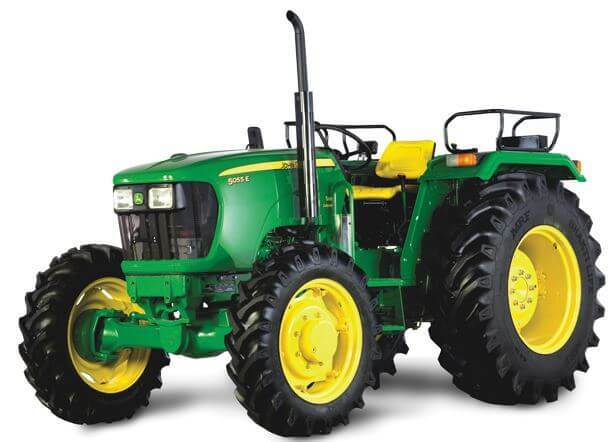 John Deere 5055 E 55 HP tractor is in the range of ₹ 3,00,000. All features you expect from John Deere receive in 5055 E 55HP. 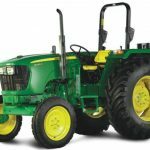 John Deere 5055 E 55HP is fitted with 3-cylinder, turbocharger and charge air cooler (CAC) diesel engines provide excellent torque, fuel efficiency, hydraulic capacity, and durability. The turbocharger with charge air cooler (CAC) increases and maintains the air intake volume for better combustion, performance and the fuel efficiency. It enables the engine to perform with the TREM IIIA emission standard. John Deere 5055 E is equipped with turbocharged powerful engine producing 55 horsepower and 159 ft-lbs of torque @ 2400rpm with 3 cylinders. John Deere 5055 E comes standard with a 9 forward and 3 reverse speed gear transmission and a dry clutch.Its large size tyres provide good contact and friction between tyre and ground surface. Lifting capacity of John Deere tractors is outstanding. 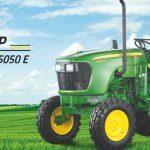 5055 E 55HP can lift a large amount of load to 1800 kg.John Deere 5055 E 55HP contains the larger fuel tank capacity for long and continuous performance. John Deere always comes with new and better technology for its accessories to increase better operations in a short time. Overall John Deere 5055 E 55hp is a powerful and efficient tractor in its class and great for farming operations. It is also best in value for money. 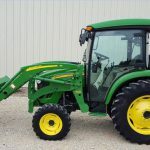 I hope you would like our article and got all genuine information on John Deere 5055 E 55hp. If you like this article, please share it to farmers and if you have any query or question about it please tell us(comment below). We will solve your problems. Thank You and keep smiling.